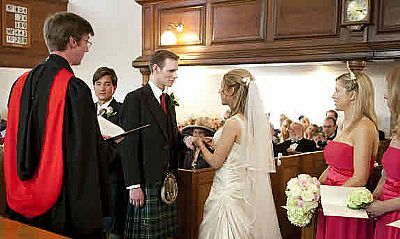 St Andrew’s Church is a lovely setting for a traditional village wedding. If you are considering marriage please contact the minister by phone, email or letter. 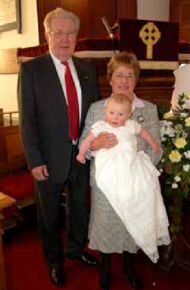 Baptisms: In the Church of Scotland baptism may be offered to adults who have given their lives to Jesus as their Saviour and have not been previously baptised. Baptism can also be offered to children who have at least one parent or guardian who is an active member or adherent of a Christian church and can promise to raise their child in the regular instruction of the Christian faith. 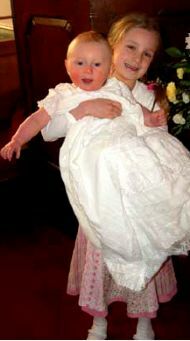 Infant Blessing services: Some parents may not feel ready to make the spiritual commitments required for baptism, or may wish to leave the decision to the child him/herself later in life. In these circumstances, parents may still wish to celebrate the new life of a child before God and the church. A service of infant blessing allows the family and the church to seek, express and celebrate God’s love for the life of a child.